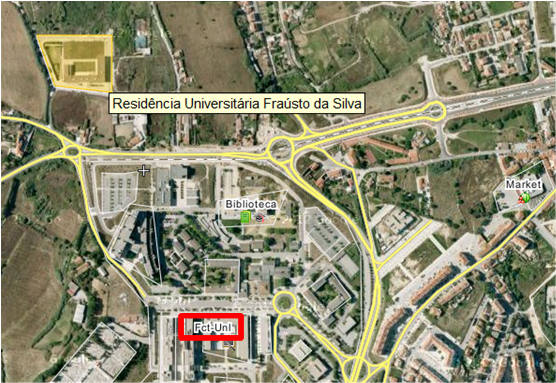 Participants will stay at the University's Fraústo da Silva dormitory (the "yellow square" at the top-left of the aerial photograph below), which is just five-minute walk from the University campus proper. All rooms have 24-hour internet access. More information about the dormitory is available on the residence website. There are also many hotels at different level prices. We will not organize hotel accommodation in any way, but if you need to help with reservation, please let us know. The campus is located in the village of Monte de Caparica, which is 15-minute drive from Lisbon. There are many restaurants serving cuisine typical of the region at very affordable prices (on average, a simple meal costs 7 €). All university restaurants on the campus are also open for lunch (July only). Alternatively, participants who wish to prepare their own meals may shop for groceries, etc. 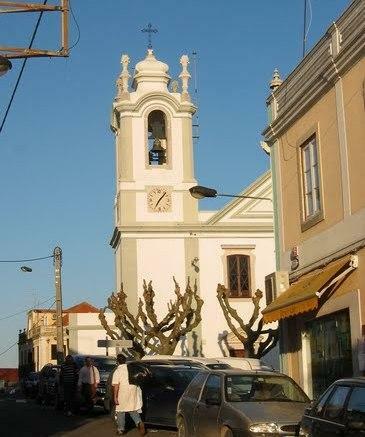 in Almada, a town which is just 10-minute bus-ride from the campus. There are various supermarkets and a big shopping centre in Almada (the Almada Forum). 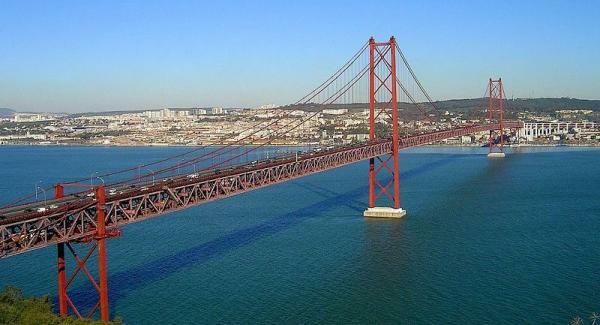 The 25 de Abril Bridge that connects the city of Lisbon (in the background) to the municipality of Almada.